Excused Absence Comedy loves to provide hilarious, high energy comedy shows for all types of audiences. Our standard, 50 minute improvised show can be adjusted for any group and we are adept at creating original formats based on your thematic needs. Below are a few of the thematic formats we have frequently performed over the past few years. Though they are grouped by age recommendations, all formats can be altered for different audiences. Volunteer Participation! There is no pressure to volunteer and many audiences enjoy just watching. It is a priority that those who do volunteer feel good about taking part in the show. As improvisers, it is our job to support fellow players. This particularly applies to audience members. Rated PG. Great for all ages, with an emphasis on verbal humor and wit. The Portmanteau Our classic format! This 50 minute improv show combines short form improv games with improvised scenes based on audience suggestions. Audience members are invited to participate by giving suggestions or joining us on stage as volunteers throughout. Operator A show that begins with a true story told by an audience volunteer. Performers create an original comedy on the spot, inspired by this volunteer stoeryteller’s words. Entirely improvised and always very funny, this format resembles traditional theater by building one continuous show from an initial audience member’s contribution, rather than stopping throughout for input and participation. This is one of our most popular formats. The Alibi An interactive mystery! It’s a dark and stormy night, and something is a little off… Join our improvisers as they uncover crimes and search for clues among our guests. Volunteer to help solve this mystery, or enjoy watching from your seat. The outcomes are always unexpected and hilarious. Kid History A 50 minute show that invites kids onstage to provide short tutorials about historical or local events. Our cast will perform a show based on our volunteer’s interpretation of events. Rated PG. High energy comedy with a “whatever” shrug. Any all ages show will work for this group, but we offer a couple specifically for teens. 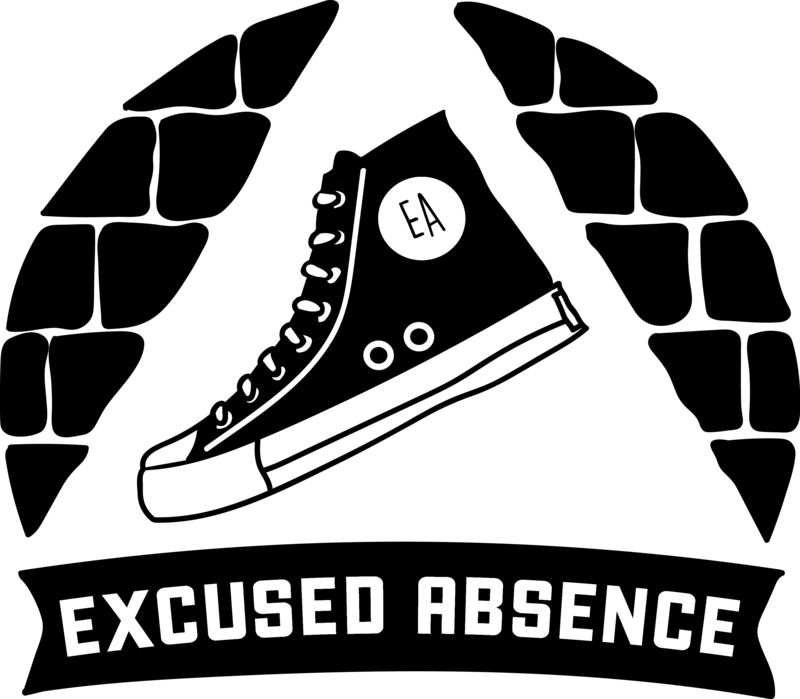 Excused Absence Classic Improvised and interactive, this straightforward improv show combines hilarious game formats with scenic improv. Classics that never fail to amuse. Stakes An improvised, comedic tribute to post apocalyptic hero tales like The Hunger Games, Divergent and so many others. Each show begins with an improvised, “In last week’s episode” then uses audience suggestions and occasional volunteers to create an original story set in a post apocalyptic world created with audience help. Wear your leather jacket. Meme Town An interactive, improvised game show for teens that invites them to compete for the title of Meme King or Queen. Join us onstage to compete or laugh along from the audience. Low stakes, big laughs. Rated G. Big, interactive comedy with an emphasis on incorporating audience ideas. Most all ages shows can be altered to work for this group. The following are specifically for them. Move Your Tale Pick up that story and move it around! Classic stories reimagined by our performers with the help of audience suggestions and volunteers. Original and hilarious new takes on well known tales, this classic format is always a winner. Rock ‘n Roll Library Audience members are invited to help our cast tell the story of a group of rock and roll loving librarians determined to put the rhythm back into the reading and the kids who help them get there. Improvised, interactive and super fun. Jokemon Whoa! An improv show that both celebrates and pokes fun at a very popular game. Audience members help create original scenarios and transform into strange new creatures. No familiarity with the source material is required. Rated G. These very hands on shows stress creativity and support. Always a blast both for kids and caregivers. These 20 to 50 minute shows begin with simple, improvised games and scenes performed by our cast. As the show builds, volunteers are invited to participate in larger and more hilarious ways. Shows are often built entirely on audience suggestions, but we are also frequently asked to create thematic performances. Examples of past shows include: Dino Days, Circus Party, Princess Unicorn Fairy Land, Truck Town, etc.